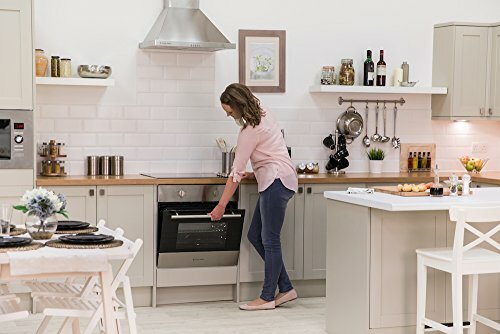 This Russell Hobbs Stainless steel built in fan oven has a sleek and stylish design, sure to look perfect in your home whilst complimenting your other appliances. 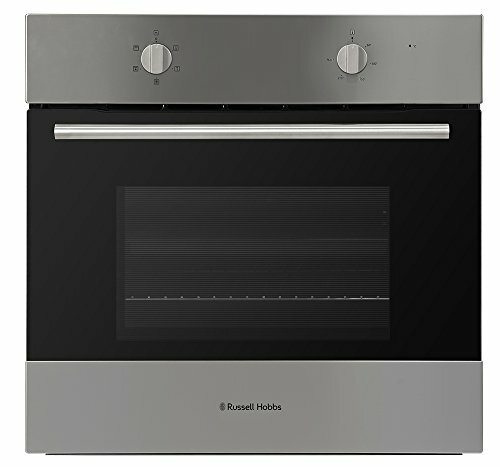 The built in design takes up minimal space whilst the steel colour will make a statement and look modern. 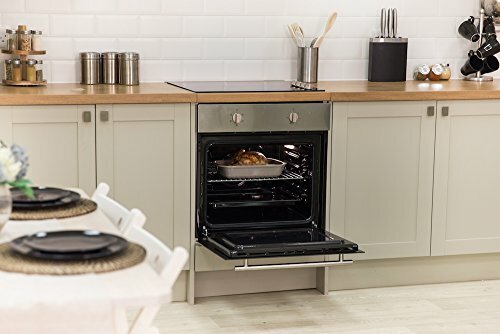 With a single cavity, this compact electric oven can easily slot into your home. 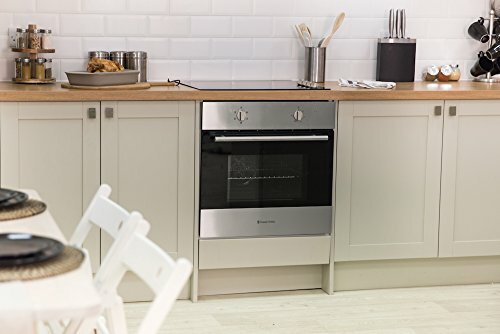 The impressive 65 litre capacity is sufficient for your family's cooking needs. 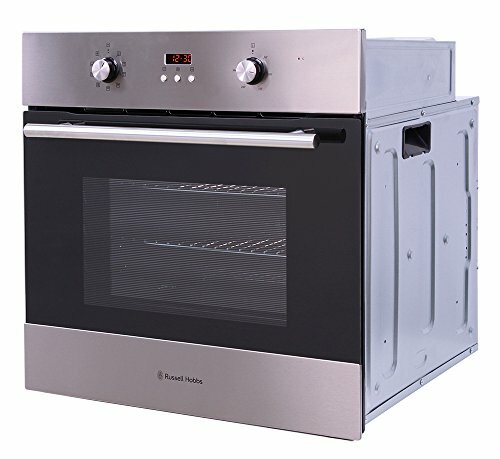 The RHFEO6502SS has 5 oven functions which include convection with fan, single grill, grill with fan, giving you the flexibility you need to deliver the best cooking results. 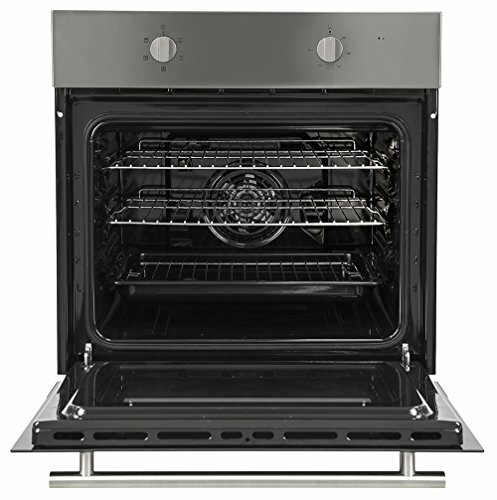 This integrated oven also comes with 2 shelves so you can cook a variety of dishes at once. 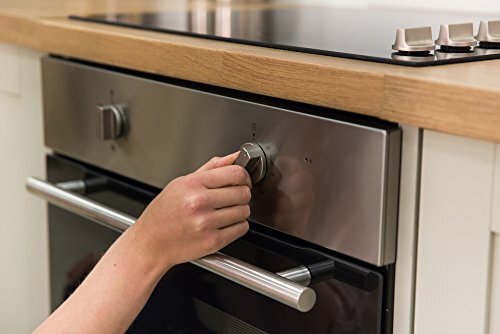 The oven dials are clearly labelled for ease of use whilst the oven lights mean that you can check on the progress of your cooking without opening the oven door, ensuring optimum cooking. 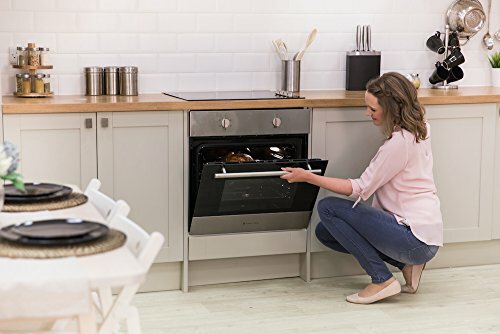 For versatility, this oven comes with a grill pan and handle.